World renowned computational chemist and nanomaterials scientist Professor Sean Smith has been named as the next director of the National Computational Infrastructure (NCI). The NCI, based at the Australian National University is home to the Southern Hemisphere’s fastest supercomputer Raijin (world number 70 with a performance of 1.67 Petaflops) and supports the work of some 4,000 researchers from universities, national science agencies and medical research institutes. Professor Smith is the founding director of the Integrated Materials Design Centre at UNSW in Sydney, and previously directed the Centre for Computational Molecular Science at The University of Queensland. “The advancement of our economy and nation hinges on the effective and symbiotic application of big data and big computing as provisioned by the NCI,” Smith said. Dr Chris Pigram, former CEO of Geoscience Australia, has been acting interim director since last month following the retirement of Professor Lindsay Botten from the director role. Professor Smith will take up the position in January next year. The NCI, along with Australia’s other HPC research facility the Pawsey Supercomputing Centre, is awaiting the Federal Government’s decision on a recommended ‘refresh’ of its supercomputing capabilities. In May, Australia’s chief scientist Dr Alan Finkel released the National Research Infrastructure Roadmap, which stated a need to “urgently address” the nation’s HPC situation. Last month the NCI said if it’s supercomputer Raijin “is not upgraded soon Australia’s research capability will be compromised”. 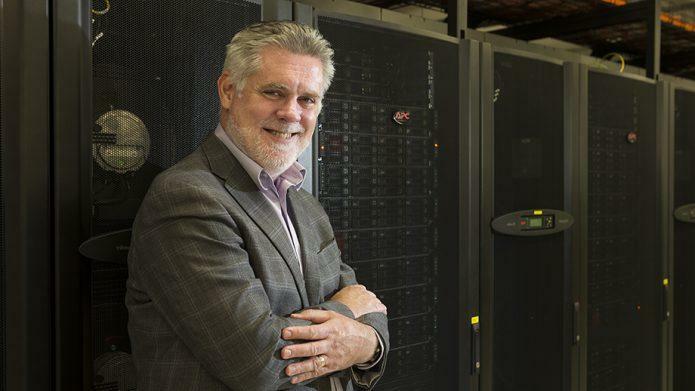 “I look forward with considerable enthusiasm to leading the NCI, Australia’s most highly integrated research environment backed by the nation’s most powerful supercomputer, to embrace the challenges and opportunities of its next phase of growth,” Smith said. ANU Vice-Chancellor Professor Brian Schmidt AC, whose own research has benefited from the capacity of the NCI, welcomed the “perfect choice” to the role. Geoscience Australia this week announced the NCI was hosting the ‘full, raw’ sea floor mapping data collected during the first phase of the search for missing Malaysia Airlines flight MH370, which is now available for experts to download.